First of all create a new image by going to File | New im using 640 x 400. Now for the ball, create a new transparent layer then get the elipse select tool and draw a circle, fill it with whatever colour you want, im using red. 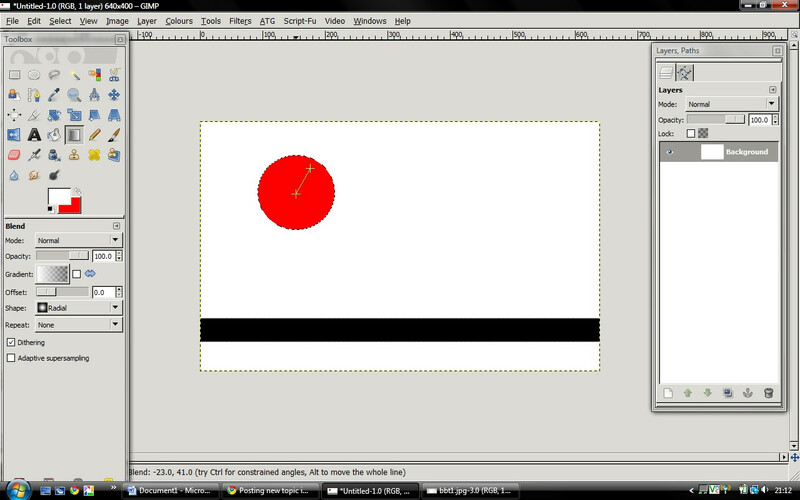 Then make your foreground colour white and select gradient FG to transparent and the shape to radial. then in the top right hand side of the ball draw a small line, it should now look like there is light shining on the ball. so download this script from saulgoode http://www.flashingtwelve.brickfilms.com...ine-bg.scm and put it in your scripts folder (C:\Program Files\GIMP-2.0\share\gimp\2.0\scripts) then refresh your scipts Filters | Script-Fu | Refresh scripts then go to Filters | Animation | Combine Background this will do what it says it will combine your background layer with everyother layer. then go and save it as a .gif file. and show me your results! feel free to request others, just 1 credit! Awesome, I'll try to make it now. I will have a go tonight! 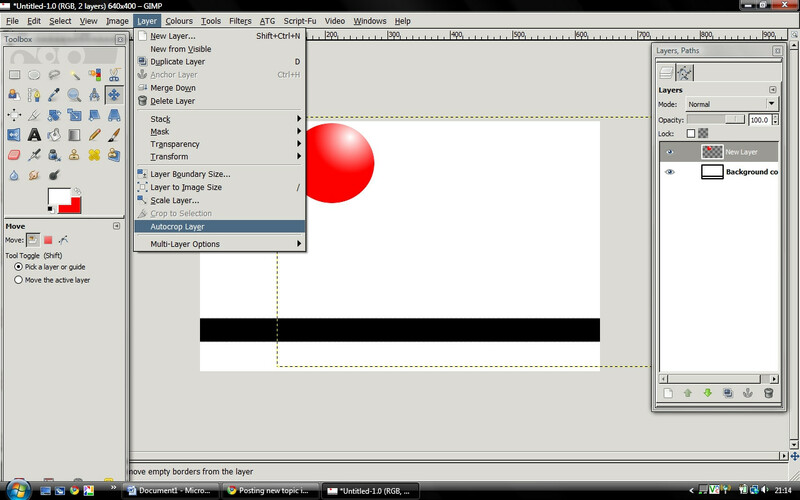 Nice tutorial, keep them tutorial coming iGimp. I will try this tut out soon. thanks that script is a time saver! Save as .gif, Choose ; 'Save as Animation'. Upload and you have your animation. thanks, i saved as gif...maybe i quick hit something different than animation. thanks. 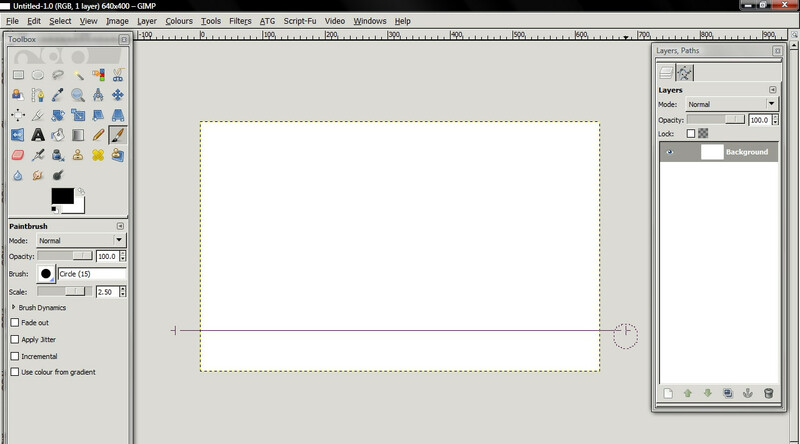 (Jun 1, 2011 11:24)LucasFuture Wrote: Save as .gif, Choose ; 'Save as Animation'. love ur sig, what did u use as all of the "stuff" around the man?